November, 14 at Waples Conference Center from 1pm to 3pm. 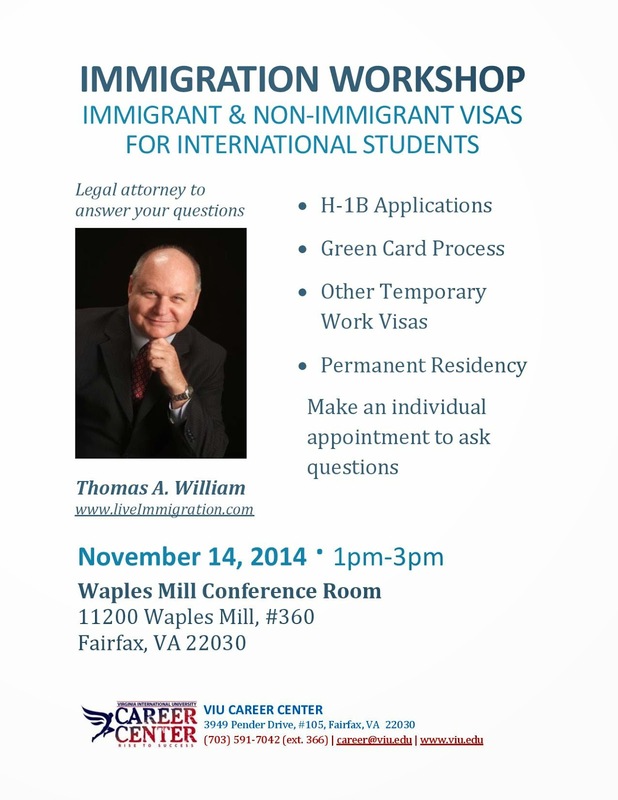 Details: A guest speaker, Thomas A. Williams, an attorney, will give students ideas regarding H1B visa application process and regulations as well as Green Card process. Please come to the event to find out more information.